Electrical Test Equipment is used in all industrial electrical applications and situations. Industrial electrical maintenance and testing specialists use test equipment to test transformers, circuit breakers, relays, fuses, starters, motors, generators, capacitors, as well as low and medium voltage cables, etc. Electrical test equipment is used to test electrical insulation, short circuits, cable ampacity, using cable testers. Other kinds of electrical test equipment would include continuity testers, current clamps, hipot testers, ground continuity test equipment, multimeters and power analyzers. Our Electrical Test Equipment provides you with the latest information about electrical technologies, test equipment companies, products and electrical test equipment applications available in the marketplace today. INTERESTED IN COST EFFECTIVE, PROFESSIONAL ON-SITE ELECTRICAL ELECTRICAL TEST EQUIPMENT TRAINING?? We can present an On-Site Training Course to your electrical engineering and maintenance staff, on your premises, tailored to your specific equipment and requirements. Click on the link below to request a FREE quotation. The Electricity Forum On-Line Industrial Electrical Power Buyer's Guide is an interactive reference tool for buyers and specifiers, providing information on equipment, companies, products and services for North America's electrical industry. Search through hundreds of leading Suppliers and thousands of product categories. Add Your Company Today! The Electricity Forum is a North American "value added" publisher of Industrial Electrical Power print/digital magazine: Intelligent Power Today - a leading electrical transmission and distribution magazine. 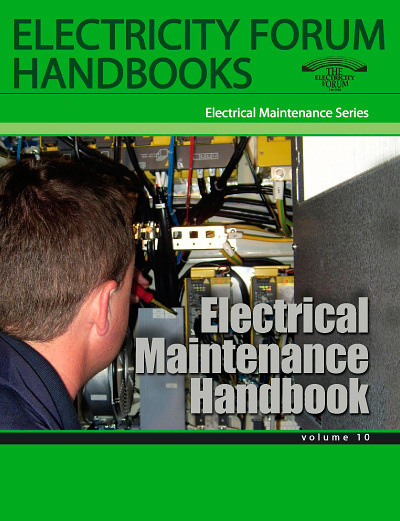 Magazine is distributed FREE of charge to North American electrical industry professionals. The Electricity Forum is interested in publishing your technical, non-commercial articles, on a wide variety of subjects. We are seeking original content for our Transmission and Distribution Channels. Click here to view our author guidelines and submit your article today!